Social media is a double-edged sword. Luckily, Neve has never been one to back down from doing what she thinks is the right thing to do even when it comes at a personal cost. My first impression of Neve was quite positive, and my appreciation for her earnestness only grew stronger as her story progressed. At first glance, she comes across as a sweet, kind small business owner, but it didn’t take me long to realize that she has a steel spine as well. Even her faults endeared me to her due to how realistic and relevant they were to her life. I would have liked to see more attention paid to the development of Judy’s personality. She’s an attractive woman, but after finishing this novella I felt like I knew some of the secondary characters better than her. Figuring out why she was interested in Neve was easy. It would have been helpful, though, to have a few more examples of the personality traits that Neve finds appealing in Judy. With that being said, Judy and Neve’s friends, employees, and customers make up a strong supporting cast. I was intrigued by every single one of them, although I will admit to finding Judy’s best friend, Rachael, the most interesting one of them all. Rachael’s carefree attitude and carnal approach to her free time lent a humorous vibe to the plot on more than one occasion. 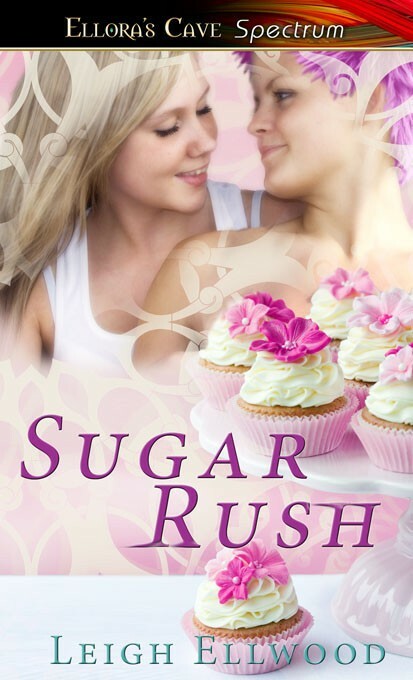 Sugar Rush was a treat to read from beginning to end. This is a good choice for anyone in the mood for something sweet and satisfying.